Nice adapter board for the ESP-07 which makes it a breeze to use it on a prototype breadboard. Shielded ESP module with GPIOs exposed. Chip antenna on-board with external antenna connector. The new kid on the block. WiFi, Bluetooth and cryptographic hardware. External antenna for ESP-07 module 3DBI gain. 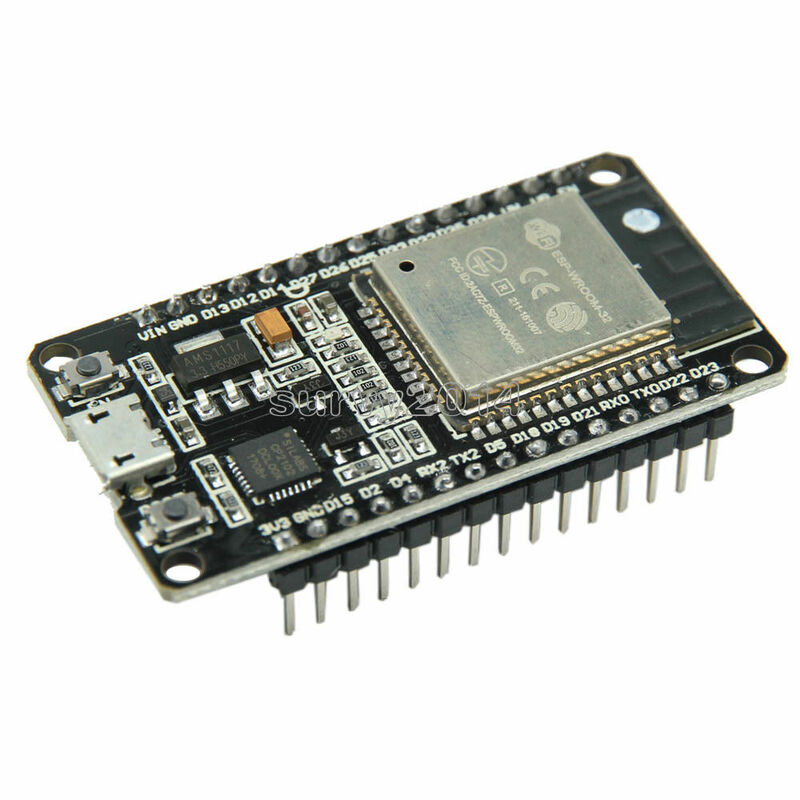 ESP8266 Wifi module with USB and auto reset which makes it easy to program from Arduino IDE. ESP8266 WIFI Development Board with 4M flash by Wemos.